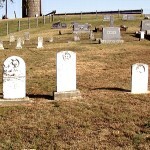 Here are pictures of the cemetery in Alma, VA where Peter W. Roudabush and Elizabeth Koontz Roudabush are buried. 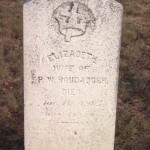 Robert Hume Moore II provided the photo of Elizabeth Koontz Roudabush. 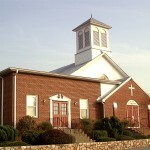 On another location at this site with misc. Roudabush pics I have her signature on orphan documents. 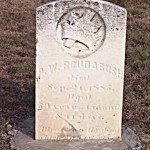 Peter W. Roudabush was my great great grandfather, and I am comforted about the inscription on his stone- he was a Christian.